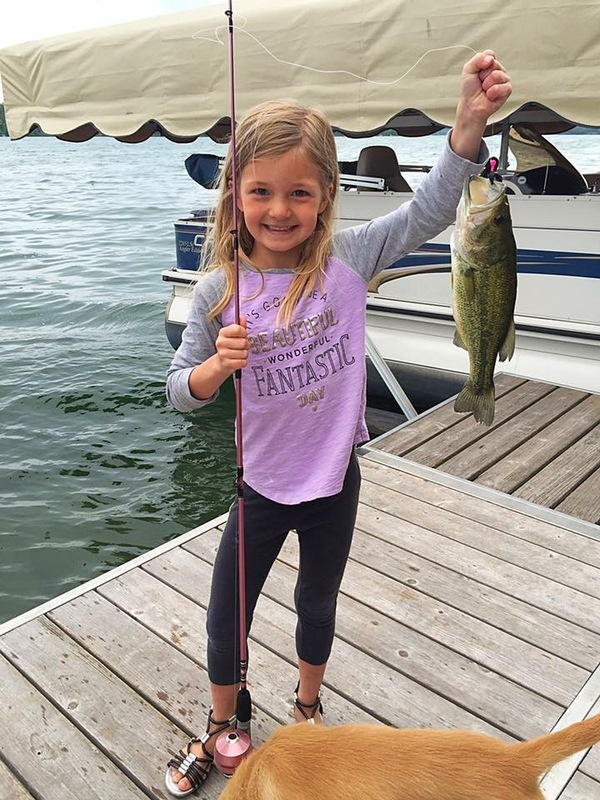 Taylor is 6 years old and caught this large mouth bass using a leech while fishing with her dad, Shane. She caught the fish on the east side of the lake near Dakota Shores Beach on Saturday, June 11th, at about 8:45am. Taylor loves coming to Grandma and Grandpa's cabin almost every weekend to see her cousins, swim, tube, and try to catch a big one!